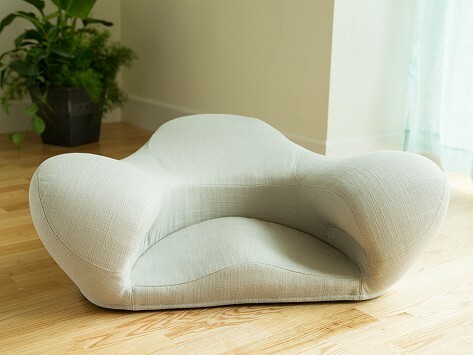 The Alexia ergonomic meditation cushion improves your practice and your posture, too. Inspired by ancient yoga manuals, Alexia’s support points help your body find the perfect sukhasana—or “easy seated pose.” Your legs cross comfortably underneath you, without the pressure of your body weight resting on them. And built-in foundation points let your body naturally find the right posture and alignment. The elegant fabric cover is removable for easy cleaning, and the unusual design—reminiscent of a lotus—looks both beautiful and intriguing. Dimensions: 26" x 32.5" x 11.5"
I love this meditation seat...not only does it make my meditation sessions more comfortable, it is a beautiful piece of furniture in our home. Meditation should be relaxing, but unwinding is much more challenging when you’re uncomfortable. 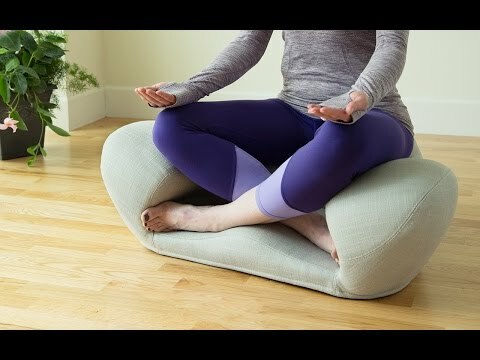 Alexia is an ergonomic meditation cushion that lets you find your zen with perfect posture and comfort. Alexia Nascimento Roizner is a meditation devotee, but she hadn’t mastered getting comfortable. Her husband used his textile engineer degree to improve the functionality, comfortability, and beauty of this gorgeous seat. This design is based on research of ancient Zen & Yoga books to find the right combination of support, comfort, and beauty. Alexia’s internal foundation points help your body find perfect sukhasana pose. Also known as “easy seated pose,” sukhasana is used in yoga for easing hip tension and reducing stress. Alexia raises the hips and angles them forward to naturally make you sit up straight, while your legs fold underneath you—without the pressure of your body weight. Alexia’s lotus-like design is enhanced by richly colored fabric or leather—it’s an unusual-but-practical piece. Whether you’re working, relaxing, or just watching TV, Alexia can improve your meditation practice as well as your posture.